As a brand new term of school begins, some you may be feeling particularly light in the pocketbook. Went a bit too hard over the weekend? Moving in cost more than you thought? Didn’t get as much from OSAP as you were expecting? Or perhaps you’re just a fiscally conscious and responsible adult, as the rest of us ought to be. Whatever your reason may be, getting the most bang for your buck — for anything — is an essential skill if your goal is making sure you can get through the semester relatively unscathed. With the economy being constantly shifting and volatile at best, it never hurts to be a little extra aware of the best deals around. And it’s no wonder that getting gas is more stressful than ever. 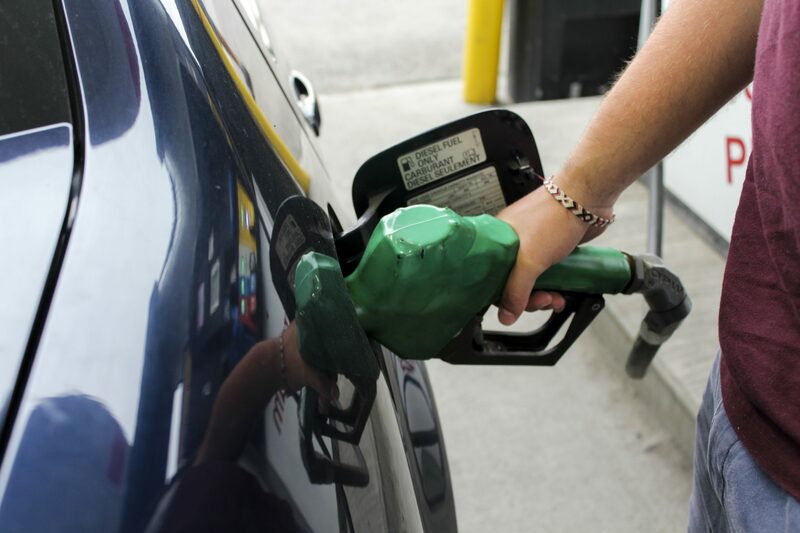 In only one year, the average price of gas in the Kitchener-Waterloo area has gone up by nearly 26 cents a litre — a number that becomes staggering when it adds up over time. Since February of 2016, that number has almost doubled — at nearly 48 cents a litre. The biggest problem of high gas costs is the uncertainty and concern that it adds to drivers, particularly those younger drivers, who rely on pumping reasonably priced petrol into their cars so that they can put their minds to more important tasks. Because of this, we at The Cord have taken the liberty of preparing some information that might ease the pain and tension of finding the best gas prices in the city, so that you can focus on the things that matter more — like panicking about all of the classes you now need to be at. This is thanks to companies like GasBuddy, a massive database spanning across the U.S. and Canada that focuses on providing the most accurate, up-to-date and real-time information on gas station and fuel prices. They even have a handy app which you can download for your phone, which can help keep track of the most cost-effective places to fill up. Author: Aaron HageyAaron is The Cord’s News Editor and a fourth-year BA student who resembles a non-threatening cartoon character, similar to Timmy Turner. He’s like that wacky grandma you can't help but like who's slightly out of touch with current trends and has a bunch of cats. He enjoys staying inside of his comfort zone and learning about history.